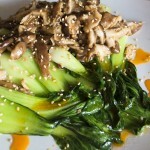 Cut off the lower portion of the bok choy. Rinse well and drain. In a large skillet or wok over medium-high heat, add coconut oil and mushrooms. Cook for about 3-4 minutes until mushrooms begin to soften. 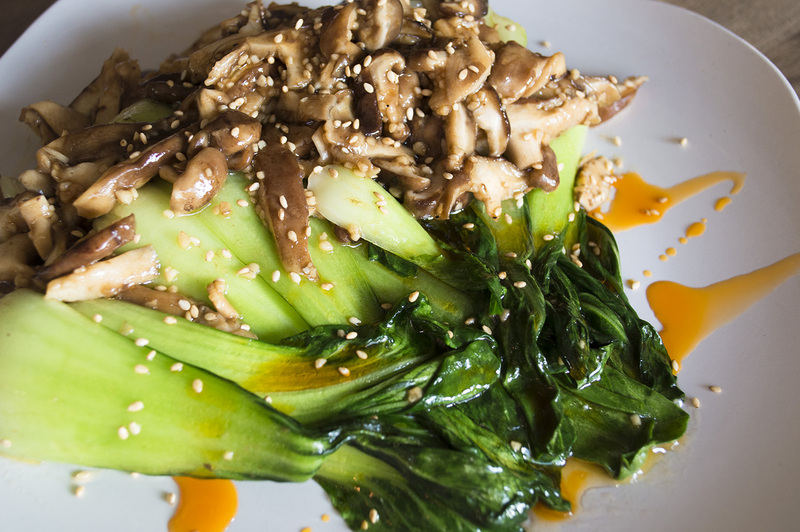 Add garlic, oyster sauce and bok choy. 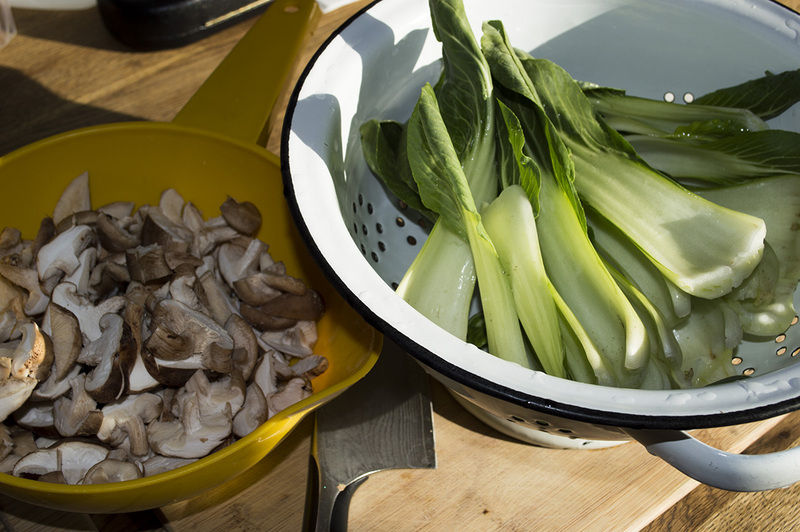 Stir fry until bok choy leaves become wilted but stems remain crisp. Remove from heat and serve immediately. Drizzle with chili oil.